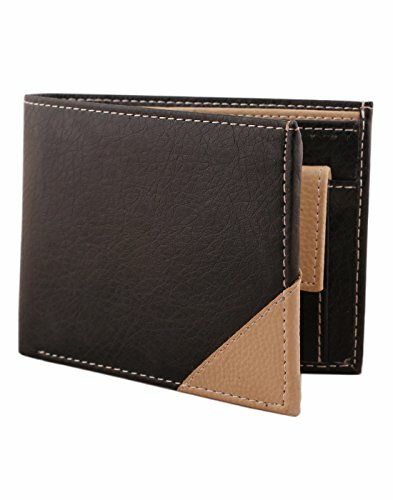 RFID BLOCKING SECURITY: Our wallets are equipped with advanced RFID SECURE Technology, a unique metal composite, engineered specifically to block 13.5 MHz or higher RFID signals and protect the valuable information stored on RFID chips from unauthorized scans. White Contrast Stitch Makes It Stylish.Made In Artificial Leather. Grainy Texture.Design That Men Would Love.High On Utility.Premium Finish. Comes Packed In A Gift Box.